This promotion is run by Discovery Vitality (Pty) Limited, in partnership with KAUAI (also referred to in these terms and conditions by the terms “we”, “us” or “our”) and the Discovery Vitality Active Rewards programme. KAUAI is offering Discovery Vitality Active Rewards members who achieve their weekly goals and choose the KAUAI reward the opportunity to add a meal from R39 when they redeem their free drink at KAUAI. The free drink offer at KAUAI remains unchanged. This offer is for Discovery Vitality Active Rewards members only. • A valid Vitality Active Rewards WiCode is required to redeem this offer. KAUAI will honour all valid WiCodes from 27 March – 31 May 2018 for the ADD a meal from R39 offer. • *ADD A BREAKFAST FOR R39. • *ADD A WRAP FOR R59. • Vegetarian wraps are charged at R49 which includes the Harvest wrap and ALL wraps less chicken / steak / tuna / smoked trout. Where mushrooms are substituted for chicken or steak, wraps are charged at R59. • Excludes: Smoked Trout, Chicken mayo, Chicken mayo deluxe, Chicken Caesar, Sweet chilli chicken, Chicken cheddar flat wrap and build your own wraps. • *ADD A SALAD OR BOWL FOR R69. • Excludes: Winter Nourish Bowl, Protein and Carb conscious protein plates. This offer is in line with the current Vitality Active Rewards Programme. To access this offer, Vitality Active Rewards members must achieve their weekly goal, choose the KAUAI reward and download the WiCode to their digital wallet, as per the usual process. Promotional WiCodes include full terms and conditions, as well as the product list. This offer excludes KAUAI stores in the following Virgin Active Health Clubs: Athlone, Mitchells Plain, Sunny Park, Maponya, Southgate, Lenasia, Peter Mokabe, Welkom, Klerksdorp, Nelspruit, Mount Edgecombe, Lorraine and Greenacres. Any additions and substitutions are charged as per the current menu prices. This reward can only be redeemed at participating KAUAI stores and can only be redeemed once per valid Discovery Vitality Active Rewards. It’s not redeemable for cash. 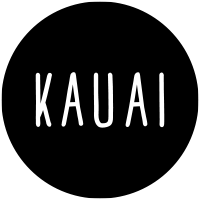 It cannot be used in conjunction with the KAUAI app or any other special offer, promotion, discount, voucher or reward. We reserve the right to amend these rules at any time with reasonable notice, and such amendment(s) shall be deemed to have taken effect from the date of publication of the revised terms and conditions, available on www.discovery.co.za. Discovery Vitality (Pty) Ltd is an authorised financial services provider. Registration number: 1999/007736/07. Limits and T&Cs apply.